The Best Cello Blogs from thousands of Cello blogs in our index using search and social metrics. We’ve carefully selected these websites because they are actively working to educate, inspire, and empower their readers with frequent updates and high-quality information. Also check out Top Cello Youtube Channels list for Top videos on Cello. About Blog CelloBello is a groundbreaking platform dedicated to cello pedagogy and innovative musical exchange. It is everything about the cello. From cello lessons, to music events and competitions, to articles and videos from the world's top cellists. Facebook fans 11,675. Twitter followers n/a. San Francisco, CA About Blog A sub-reddit for anything and everything about cellos, no matter what your skill level is. Get tips from more experienced cellists, ask questions and improve your technique or theory. Facebook fans 1,188,173. Twitter followers 551,316. About Blog Hi I'm I am Peter Williams, certified Suzuki Cello Instructor and cello teacher to children for over 20 years. Here you'll find more information on cello lessons, the Suzuki method and my teaching approach, along with upcoming festivals, articles, and more. About Blog Hi I'm Joan Jeanrenaud. I compose, improvise and arrange music, as well as research, produce and present multi-media performance arts. Follow the blog to find more on cello by Joan Jeanrenaud. About Blog New Directions Cello Festival and New Directions Cello Association is a not for profit organization that has created a network for the growing field of alternative and non-classical cello. The goals of the NDCA&F are to encourage interaction among non-classical cellists, and to promote awareness among all cellists and the musically oriented public about the contributions that cellists are making in many styles of contemporary music. Vermont, USA About Blog Paul Perley Cellos offers fine cellos and stringed instruments. They specialize in the restoration, repair, and sale of cellos, basses and violins. Facebook fans 260. Twitter followers 23. Moscow, Idaho, USA About Blog Miranda Wilson is an internationally performing cellist and the author of Cello Practice, Cello Performance. Follow the blog to find more on cello. Facebook fans n/a. Twitter followers 211. About Blog Lowri Blake is a cellist, singer, broadcaster, teacher and director of Cellos at Belle Serre, Lowri Blake enjoys a particularly diverse career. Follow Cellos at Belle Serre blog to find more about cello by lowri blake. Facebook fans n/a. Twitter followers 435. About Blog Follow the blog to find more on cello. Atlanta About Blog Nan Kemberling is a cellist, cello teacher, and coach in Atlanta, GA. She is available for performances, private lessons and masterclasses, and clinics on performance anxiety and ergonomic cello technique. She lives and breathes cello everyday, and she want to share thoughts about it with you. Facebook fans n/a. Twitter followers 124. New Jersey About Blog Bryan Wilson is a cellist, composer, educator, and author. He offers a uniquely modern perspective on the cello that is sure to inspire. He introduces students to the innovative and exciting roles that the cello can play in contemporary music. Facebook fans 345. Twitter followers 166. About Blog kobekina is the official web page of young cellist Anastasia Kobekina. Folow the blog to find more on cello by Official web page of young cellist Anastasia Kobekina. About Blog The London Cello Society promotes the art of cello playing, preserving its great traditions while encouraging its continuing development. Facebook fans 9,649. Twitter followers n/a. 14. Cello Practice Smackdown | What can be done on the cello with no prior talent and a lot of practice? About Blog Hi I’m a middle-aged father of two boys. My kids were involved in a stringed instrument program at school, and I was getting jealous. I’ve always had an attachment to cello, although I never thought I could play. About Blog If I knew then what I know now I never would have done it and I’d have missed out on so much. About Blog Hi I'm Emily Wright. I am a broken cellist and future owner of an Alfa Romeo GTV. My approach combines cello technique with a broad overview of musical concepts and historical context, preparing students regardless of whether they continue with the cello for years. Facebook fans n/a. Twitter followers 2,313. Croatia About Blog 2CELLOS, soar worldwide as music’s most electric and dynamic instrumental duo, taking the cello to unimagined heights with their incredible talent and undeniable passion. Facebook fans 1,401,057. Twitter followers 87,473. Norway About Blog News for all members in Absolute Cello. About Blog Hi I’m just a cello, celloing. About Blog Cello performance major ‘21, they/them/theirs, here to offer some advice about music college and cello playing. 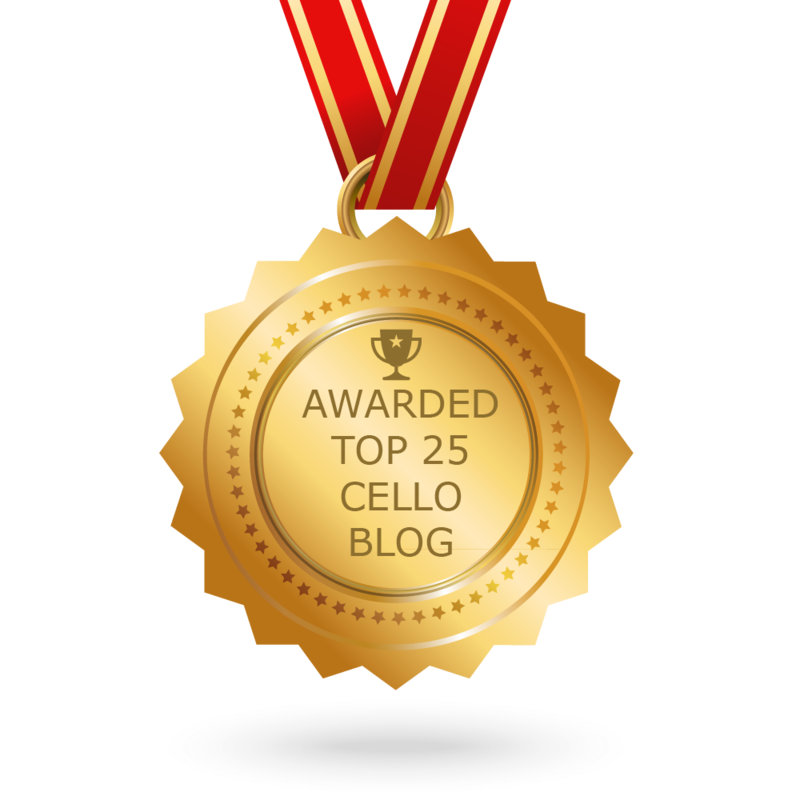 CONGRATULATIONS to every blogger that has made this Top Cello Blogs list! This is the most comprehensive list of best Cello blogs on the internet and I’m honoured to have you as part of this! I personally give you a high-five and want to thank you for your contribution to this world.